The school year is back in sessions. You might have recently sent your first kid off to college or sent your kid back to college. Either way you probably are missing them already and wonder how they are doing. They are missing you too, trust me. To know you are thinking about them, you might want to be doing something special for them. Care packages are a great way to send them some love. These packages can be filled with a variety of things. 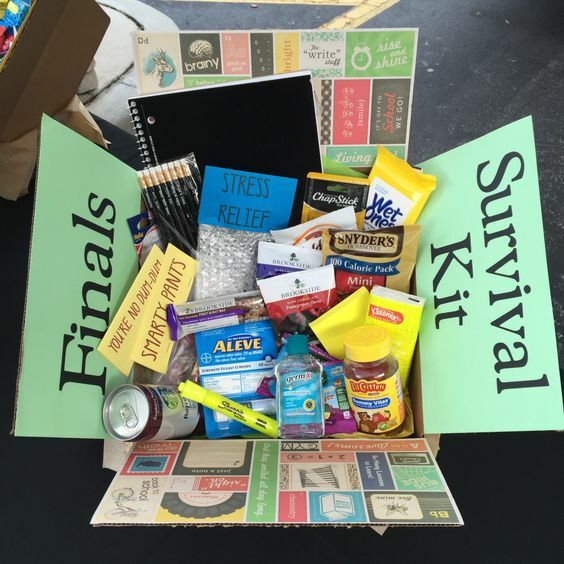 Here are some care package ideas for your college students! Add a bit of your college student’s favorite items. Here are some fun themed care packages you might want to try doing from Pinterest (click here). It’s always fun to do a theme for your college student, especially with holidays you might be celebrating!